Customer service is a lifelong development skill. 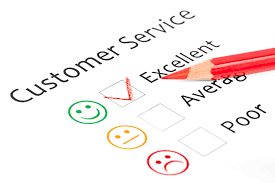 Everyday you improve your customer service skills. This is learned by interacting with your customer and working with mentors to provide coaching. However if you talk to anyone with exceptional customer service skills they will tell up how important it is to read skill development books. Below are a few good resources you may want to check out to keep developing your customer service skills.